Partners in Design's Mystery Quilt Along Is Coming! We are excited to announce that Partners in Design's newest mystery quilt along will begin March 12, 2019! 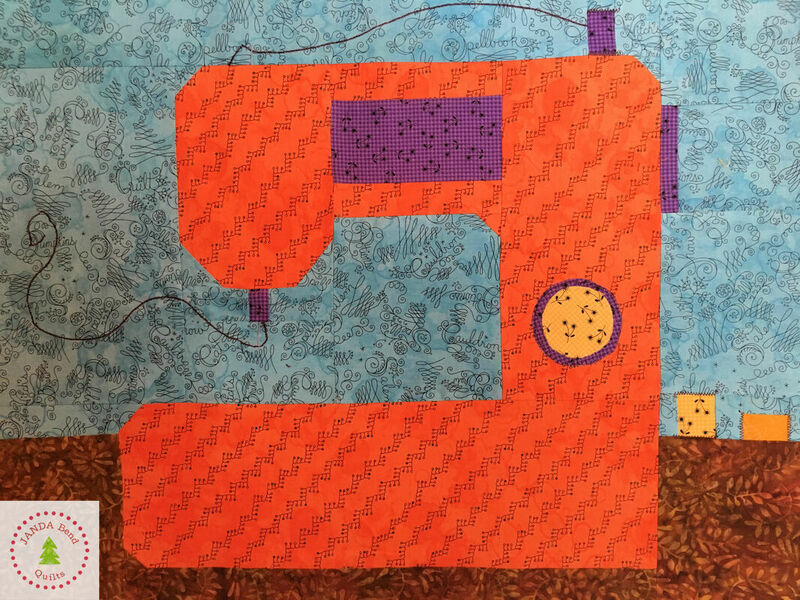 It is called Sew Let's Quilt Along, and it is full of surprises. Pieceful Sunday: New Table Runner Pattern Release! Christmas Tree Farm Table Runner Pattern Release! Welcome to the Pieceful Sunday Linky Party! This week I am so excited to announce the release of my new pattern- Christmas Tree Farm Table Runner. It is in plenty of time for Christmas! I am really happy about how this pattern turned out. It was inspired by my Christmas Tree Farm Block which I designed for the I Wish You a Merry QAL quilt along sponsored by Partners in Design. If you the would like to read about this block and the QAL, click here. Of course, the original block was inspired by living at JANDA Bend Christmas Trees. My husband and I love living and running a Christmas Tree Farm. The Christmas Tree Farm Table Runner measures 25" by 52". 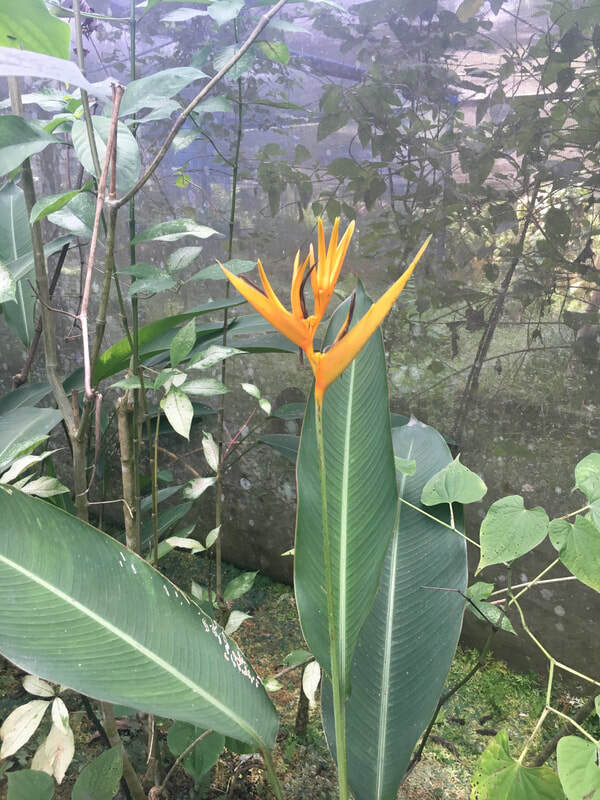 However, you can easily reduce or increase the length by reducing or adding the number of larger trees and the smaller tree border. The pattern is available as a pdf digital download in my online Quilt Shop. We accept PayPal and major credit cards at our McAfee secure checkout. Currently, we can only sell to US customers. However, we will be opening an Etsy shop in the next few weeks. We will be able to sell internationally from that shop. Stay tuned! The pattern contains templates for the Christmas Tree blocks. However, information concerning which Quilt in a Day (not an affiliate link) rulers or Accuquilt (affiliate link) dies to use to cut the trees is included as well. Hope you like the new pattern! Please let me know if you have questions. Welcome to the Pieceful Sunday Linky Party! I can't wait to see what you have been making this week! 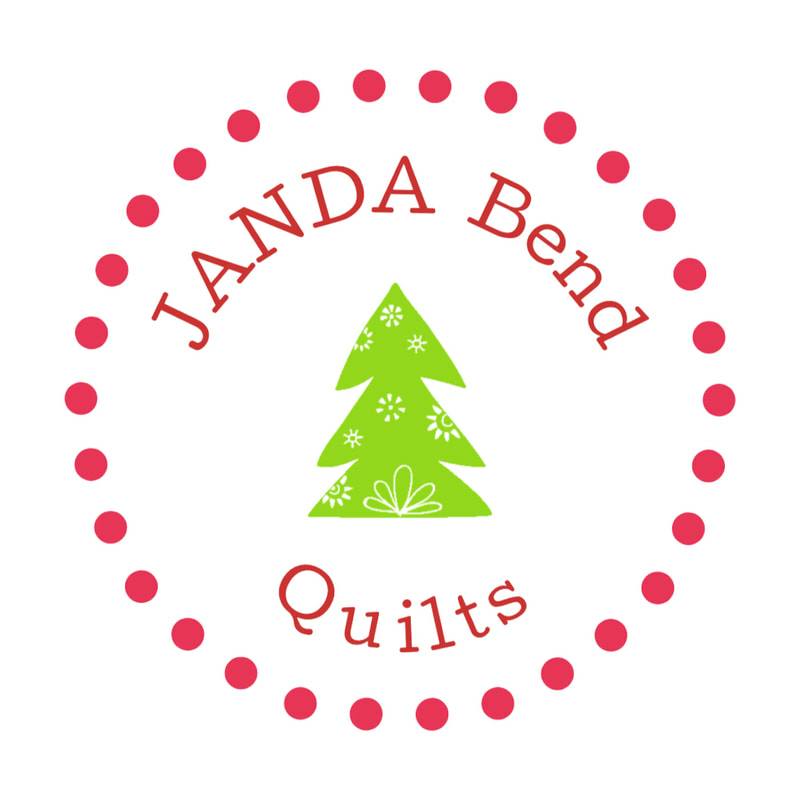 You may have noticed some subtle changes to the JANDA Bend Quilts website. One change is the addition of a new Logo. How do you like it? I designed it myself. I decided to update the Logo after a student marketing group from Oklahoma State University made marketing recommendation for JANDA Bend Christmas Trees. One of the team's recommendations was an updated Logo. They actually designed a Logo for the Christmas tree farm. I liked it so much that I decided to try my hand at it. I have also made other updates to the site. In addition, I will be adding more products to the online Quilt Shop and opening an Etsy shop. Stay tuned! 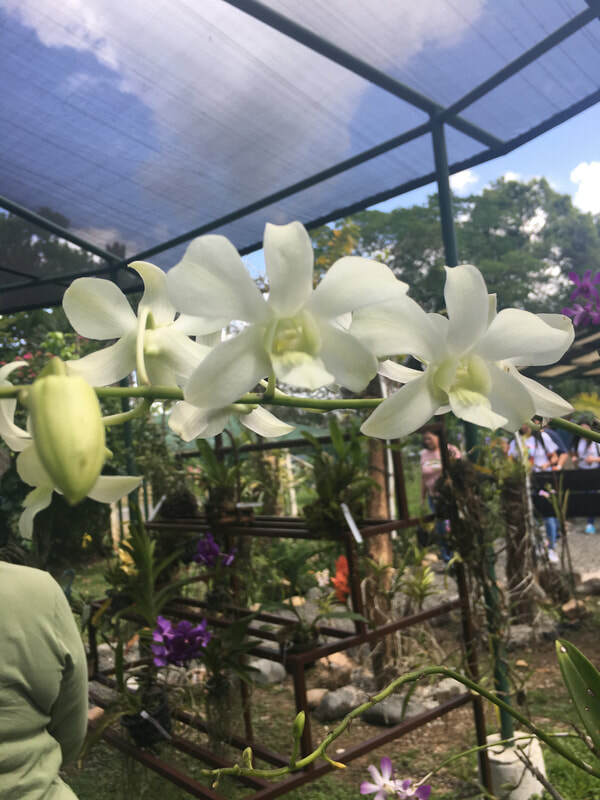 In other news, my husband and I just got back from a vacation in Panama and Costa Rica. We have always wanted to sail through the Panama Canal. So when we had the opportunity to do so in the midst of winter, we went for it. We had a great time on our trip, and I met a fellow quilter. Funny how this seems to happen no matter where I go. She is an Art Quilt maker from Indiana. Of course, we had a lot in common. We even brought the same turquoise, floppy hat for sun protection. I look forward to staying in touch with her. 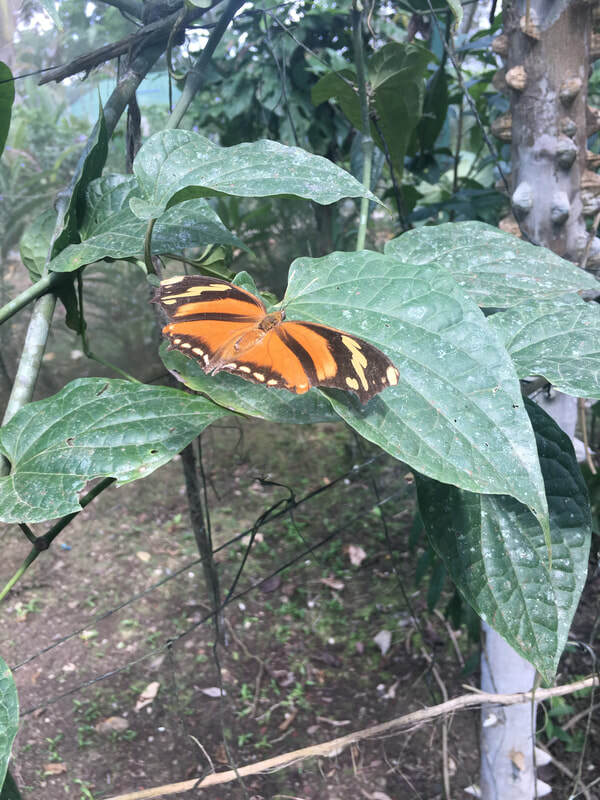 On the trip, we saw beautiful flowers and butterflies. 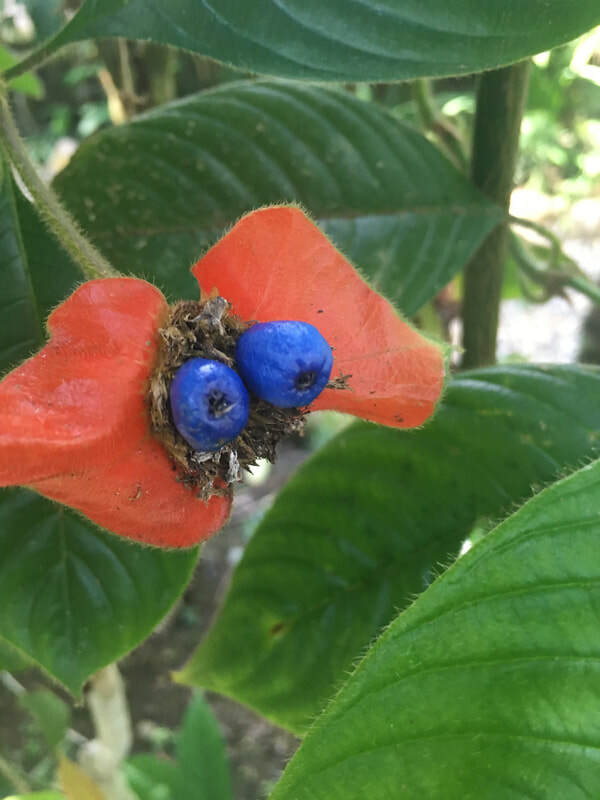 I took photos because I thought that they might inspire quilt designs. Here are a few of those beauties. Maybe you will find them inspirational as well. 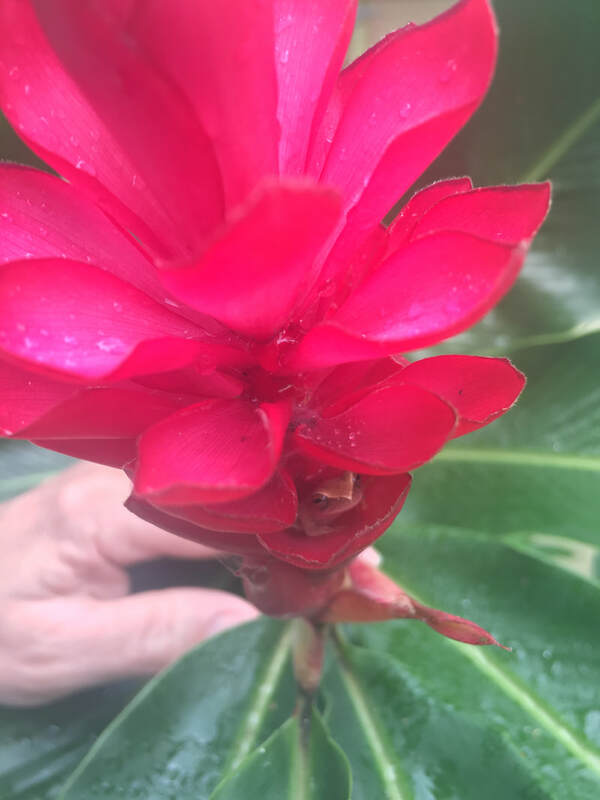 Be sure to look for the tiny frog inside a flower! Pieceful Sunday: Secret Sewing in the New Year! Xena says, "Must You Sew Now?" Welcome to the Pieceful Sunday Linky Party! I really have been doing a lot of sewing since the New Year. Ask my cat, Xena. She will tell you that I have been sewing and working hard on the computer instead of letting her sit in my lap and petting her. The trouble is that most of it has been secret sewing. I am ready for the Fat Quarter Shop (affiliate link) ​ Starling Quilt Along, but I can't show you my quilt yet. I am finishing my sample of my new table runner pattern, but I am not ready to release it yet. ​Our Partners in Design group is planning a new Mystery Quilt Along. We have been working on it for weeks! Our big announcement with details will be released February 26, 2019. We have some new twists and a fun theme that I think you will really like! I can't wait for the big reveal. 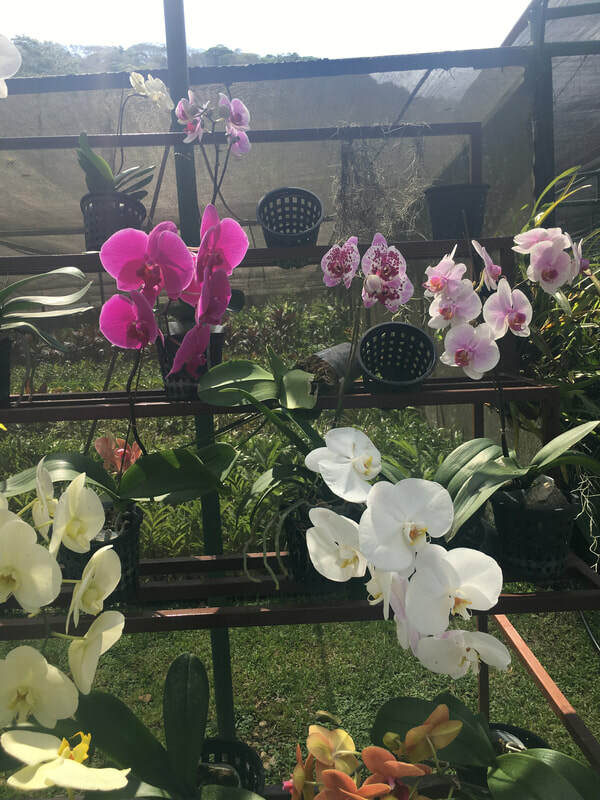 Sign up for my Newsletter or join our Partners in Design Facebook Group. Most of our designers are returning, and once again, there will be giveaways! That is all that I have to show you this week. Now it is your turn! I enjoy seeing your posts! You can link up your in-progress or completed piecing projects using the Pieceful Sunday Linky Party button below. Please note that the thumbnail photos and links will not show up on this page. You will need to click the Pieceful Sunday Linky Party button to see the photos and links. This may be a little different from what you are used to. The link-up will be available until Saturday, January 19, 2019 at midnight. 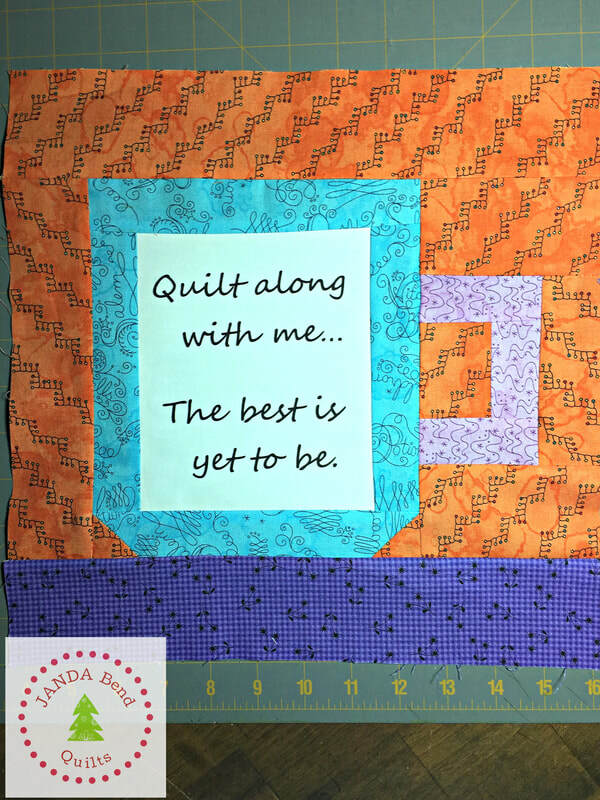 If you prefer, you can also link up on Instagram using #PiecefulSundayatJANDABendQuilts. Pieceful SUnday: Starling Quilt QAL with Giveaways! I have been doing some secret sewing for the Fat Quarter Shop Starling Quilt Along. Best of all, you can win giveaways if you participate in the Quilt Along! Details are coming soon! 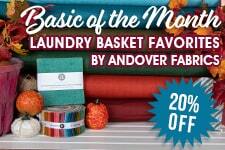 The Fat Quarter Shop (affiliate link) provided the pattern and a gift certificate for the fabrics that I am using. The photo shows that the Art Gallery Fabrics that I chose. They are the Life Is Pink Edition of the Fat Quarter Box Art Gallery Fabrics Color Master. I am also using Paperie Happily Ever After and Fusions Bachelorette Mudcloth yardage form the Art Gallery. I love these fabrics! I can't give away too many details yet, but I have provided a couple of hints in the photos below. Interested? Check back soon to see my completed Starling Quilt and to find out how you can participate in the Fat Quarter Starling Quilt Along and win giveaways from the Fat Quarter Shop! Now it is your turn! I enjoy seeing your posts! 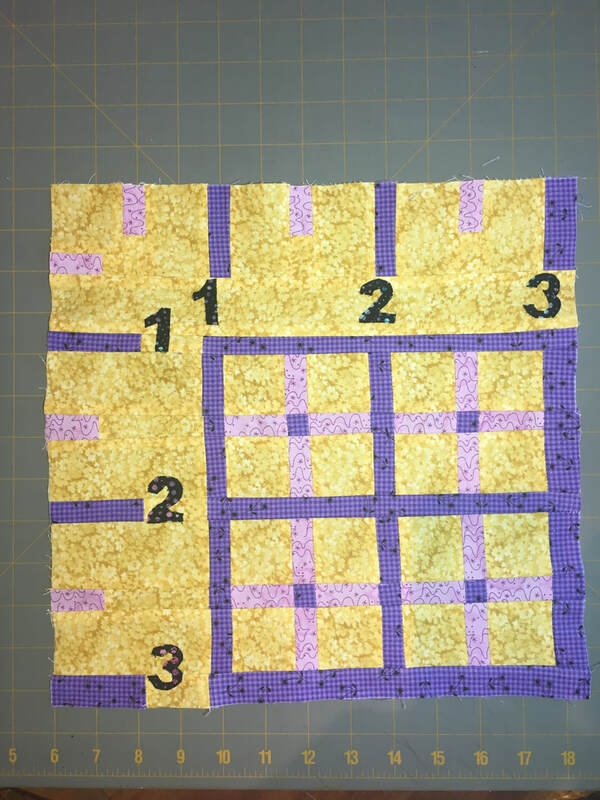 You can link up your in-progress or completed piecing projects using the Pieceful Sunday Linky Party button below. Please note that the thumbnail photos and links will not show up on this page. You will need to click the Pieceful Sunday Linky Party button to see the photos and links. This may be a little different from what you are used to. The link-up will be available until Saturday, January 12, 2019 at midnight. If you prefer, you can also link up on Instagram using #PiecefulSundayatJANDABendQuilts. To view the link-ups or to add your link-up, click on the Pieceful Sunday Linky Party button.